IT'S every parent's nightmare when their child ends up in hospital and celebrity mums are not immune. 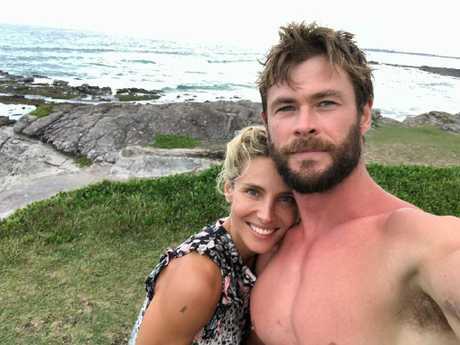 It was an emotional weekend for Elsa Pataky, the wife of Chris Hemsworth, who revealed one of her four-year-old twin sons had been rushed to the emergency room near their home in Byron Bay. The stunning Spanish actress posted a picture of her blond-haired son sporting a mini arm cast while being held by his father, Hollywood superstar Hemsworth. "Nobody tells you how much it hurts when your kids get hurt," mum-of-three Pataky wrote in the caption, which accompanied an image of the little boy sporting a pair of his dad's sunglasses. It's unknown what caused the child's arm injury. 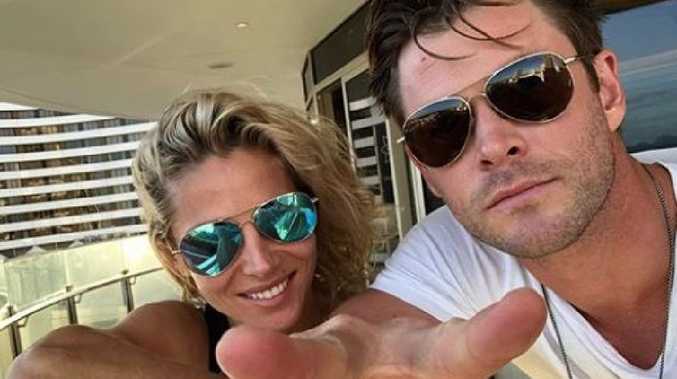 Elsa Pataky and Chris Hemsworth spent the weekend in hospital with their four-year-old son. The Spanish actress also used her native tongue to explain what had happened. The Thor star has in the past tweeted about the boisterous antics of his kids, even posting a video of the Spider Man-like Tristan scaling a fridge in an attempt to grab some chocolate. He also recently posted a humorous Instagram photo showing him posing with a birthday cake. Seconds later, the star said, one of his sons "attacked" him from behind, slamming his face into the flaming candles.